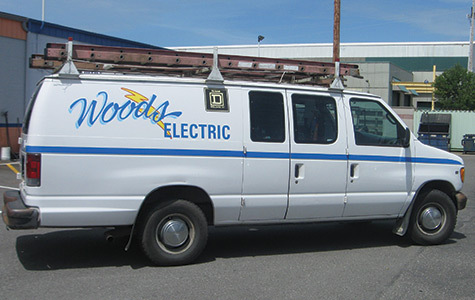 Since 1972, Woods Electric Inc. has been providing unparalleled electrical installation, repair and maintenance service to Sedro-Woolley, WA, and the surrounding counties. We offer comprehensive lighting, wiring and appliance service to residential, commercial and industrial properties to make sure your home or business is up to code. At Woods Electric Inc., we believe that few things are more important than your home or business’s electrical wiring. While carefully and properly installed wiring adds value to your property and promotes smooth and efficient functioning of all your lighting and appliances, poorly installed or outdated wiring can lead to inconvenient breakdowns or even fire hazards. That’s why we offer reliable, careful service as your commercial, industrial and residential electrician in Sedro-Woolley, WA. We are fully bonded, insured and licensed as a Master Electrician, LIC#woodsei141cg. We are a proud member of the S Island County Builders Association. We offer more than 40 years of experience. We serve within 100 miles from Sedro-Woolley, WA, including Skagit, Snohomish and Whatcom counties. For everything from new commercial construction to residential remodels, Woods Electric Inc. provides safe, reliable and efficient services. Electric Repairs, Home Electrician Services, Electrical Wiring, Re-Wiring, Home Remodeling Wiring, Indoor Lighting, Fuse Boxes, Breakers, Generators, Control Panels and More. We specialize in residential and commercial electrical contracting.